The grand narrative of The Young Turk Legacy and Nation Building is that of the essential continuity of the late Ottoman Empire with the Republic of Turkey that was founded in 1923. Erik Jan Zürcher shows that Kemal's "ideological toolkit," which included positivism, militarism, nationalism and a state-centred world view, was shared by many other Young Turks. Authoritarian rule, a one-party state, a legal framework based on European principles, advanced European-style bureaucracy, financial administration, military and educational reforms and state-control of Islam, can all be found in the late Ottoman Empire, as can policies of demographic engineering. 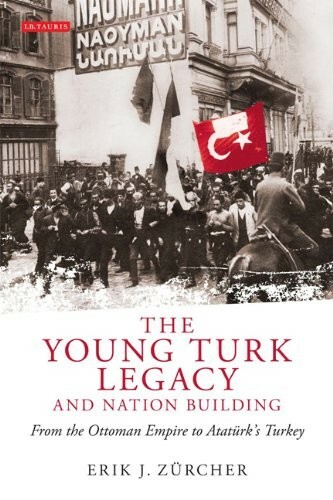 The book focuses on the attempts of the Young Turks to save their empire through forced modernization as well as on the attempts of their Kemalist successors to build a strong national state. The decade of almost continuous warfare, ethnic conflict and forced migration between 1911 and 1922 forms the background to these attempts and accordingly occupies a central position in this volume.This is a powerful history reflecting and contributing to the latest research from a leading historian of modern Turkey. It is essential for all readers interested in the history of the Ottoman Empire and Turkey, and for an understanding of a key player in the politics of the Middle East and Europe.